The SHOP, Rowan University’s student pantry, would like to thank you immensely for the donation of the refrigerator/freezer. So many times students have asked for fresh or frozen items and we had no way of keeping them refrigerated. 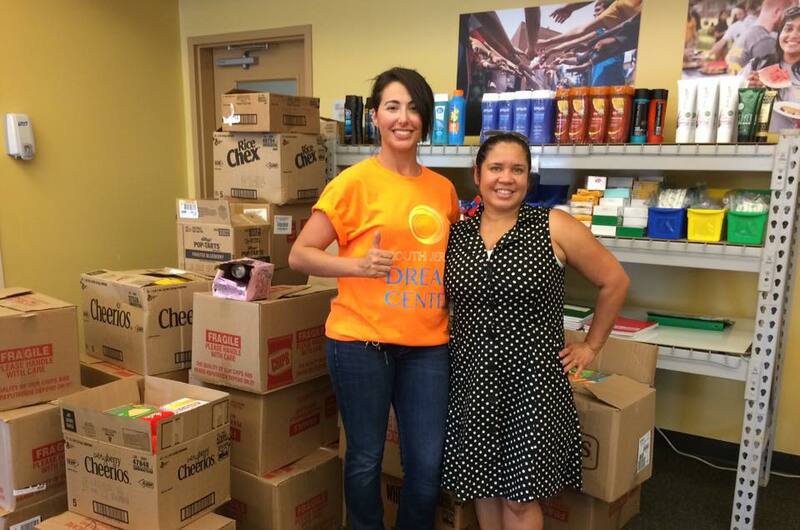 This donation will greatly help in the expansion of needed items available to students. Your gift makes a real difference in the lives of hungry students, and gets them closer to their ultimate goal of earning an undergraduate degree in a timely fashion and realizing their dreams. The very first time I entered the Dream Center, I felt the love and joy fromall, and I wasturnedon to Faith Fellowship, which changed my life forever. I love arriving each morning and seeing the guests waiting in line, before any volunteers or workers are even there! It gives me purpose. It’s also a huge reminder that people actually need what we have. When I first heard about South Jersey Dream Center, I said to myself, "Wow, how wonderful are the sponsors to be able to help families put food on their shelves. And to be able to hear the word of God and to offer them support programs they can benefit from. Especially towards ends of month, it is very hard for many family including a myself. The most amazing feeling I felt at that moment was when I hear a voice within me whispering, "How can I give back to our community that helps us during our hard times?" So I asked if I could volunteer!! By the blessings of God, I loved that Natalie said, "Yes, of course you can". I felt honored and also proud to be able to give back. She trained me with the patience of an angel. This is truly a Dream center that provides help in many more ways then one. They truly put their hearts and soul into helping many families and serving their community. They work very hard to make sure everyone's needs are met to the best they can. They pray for us and we receive the word of God graciously. I admire and respect everything they do. As long as they need me and I am able to be a volunteer I will be there. Thank you Dream Center for all you do to make this happen and for your prayers. I truly feel the love and truly appreciate it. I was talking with one of the guests and saw cotton in her ear and I asked if she wanted me to pray for her. She said yes. As I prayed, she said she felt the ball of liquid go from her ear down her throat and could taste it as she swallowed. After she took the cotton out of her ear, she was pain-free and healed in Jesus' name. What makes your food distribution different? Well I would say that Pastor Joe and Natalie, along with staff and volunteers. You all put a lot off LOVE in to what you do best, and help the community and good people of this state southern New Jersey. And for that I am very grateful for you guys. Keep up the great work and believe it or not you are making a difference in this community GOD BLESS YOU. That day in National Park was one of my best days as a born again Christian! I brought my daughter to learn how to serve not only people in church. We get caught up in church! I would love to help out again real soon. I would love to teach both my kids this important foundation of the Good Samaritan in action! Be blessed with much increase! In Jesus name. Very Friendly, love everybody. Makes you feel comfortable. Pastor makes it worth going. Everyone is helpful. It’s been a blessing to me. I don’t get much [money] from month to month. Sometimes it lasts two months. It definitely has been a plus for me. I enjoy hearing the word. They are doing exactly what the word says by helping the needy. Thank you for all you’ve done for myself and my family. We appreciate the food. The food is helpful. Me and my family are very grateful. The price tag on the meat we ate tonight that we received from the Food Pantry was more than I make on my job in one day, thank you! I feel so appreciated when I volunteer at the Food Pantry. When I get there, I can't wait to get this party started! just want to thank you for helping us make it threw the month as my food stamps got cut again and without the help from you and the volunteers it would be so hard to survive thank you all again for the food and the kindness .God bless you all. I just want to say thank you South Jersey Dream Center for all you do for my family and I. You're truly a blessing from God. "Since December I have been one of the Americans out of work, my world as I knew has changed. I have been trying to be patient and hold on like many people looking for work, and hoping the government would come to some kind of agreement on unemployment extension. As time passed, I found myself becoming more depressed and over taken by self-pity. I REACHED OUT TO A FOOD BANK, sponsored by Faith Fellowship Ministries of Southern New Jersey. When I arrived I was overwhelmed with false-pride, self pity, and shame. But the kindness of the ministries and the people soon made me feel welcome, so that all these crazy emotions soon were replaced by hope and gratitude. How amazing this was, a food pantry with workshops available every month. That month the work shop was Get Ready, Get Set, Get Hired! The workshop had just what I had been missing in my interviewing skills. Years ago the employers seemed to care more about your experience during the interviewing process, but today I find there are a lot of misleading questions. I have been on three interviews since my workshop. I have not been made any offers on employment, but I can tell you that when I entered those interviews, I was much more positive and confident, and felt as if the interview went a lot better on my part. The next month I went back to that same food bank and asked to volunteer. Immediately I was assigned to welcome the people back and extend the gift that was so freely given to me. But once again I received another gift that month. The workshop was on relationships, respect, and love within the family. My God is so full of miracles in my life if I stay willing and open to receive his blessing. Thank you to everyone who helped to be a light in my life." 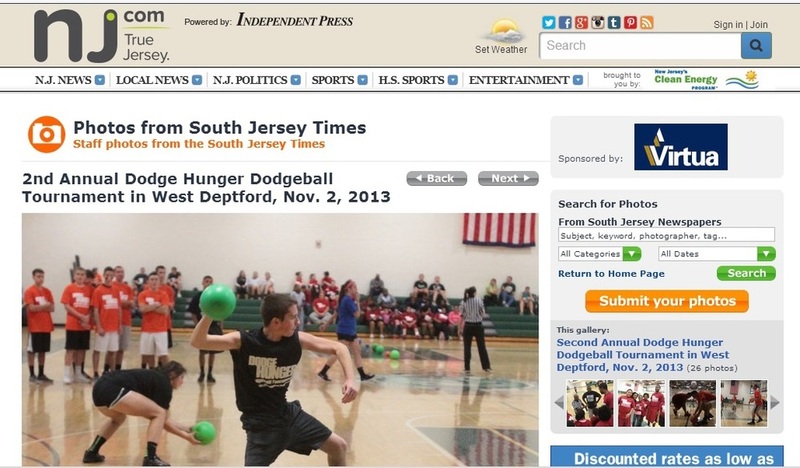 October - 2018 - WEST DEPTFORD, NJ - The seventh annual "Dodge Hunger" dodgeball tournament will take place Saturday, Nov. 3, from noon to 4 p.m. at RiverWinds Community Center, 1000 Riverwinds Drive, West Deptford. Sponsored by the South Jersey Dream Center, the round-robin competition will have categories for various skill levels and age groups from grades 6-8 and 9-12 to ages 18 and older and a pro division. Participants can register as teams or individual players. To register, each player makes a tax-deductible donation of $20. Players will receives a Dodge Hunger team T-shirt, lunch and a mini-mentor session with Elite members of USA Dodgeball. Admission for spectators is $1. Teams need to arrive by 11 a.m. to check in, and all captains must attend a captain's meeting at 11:30 a.m. The tournament will start at noon with a lunch break at 2 p.m. Trophies will be awarded to the winning team in each division. Teams are made of six players -- male, female or coed. A player liability form must be filled out by participants younger than age 18. GLASSBORO, NJ - August 25, 2017 - The South Jersey Dream Center (SJDC), a local non-profit to low income and struggling families in Gloucester County, donated several hundred pounds of non-perishable food items to the Rowan University student food pantry this week. "The Shop" is Rowan University's first ever on campus food pantry and resource center available to students in need. Founded by Rowan students, Rbrey Singleton and Daniel Cardona, The Shop (Students Helping Other Profs) opened its doors in late March. It's conveniently situated in Room 141 in Building 5 of the Rowan Boulevard Apartments, and intended for students without the financial means or resources necessary to purchase adequate food and/or personal care supplies. Volunteer, Michelle Santiago-Cruz, who oversees the operation, was overjoyed when the Dream Center made a "just-in-time" delivery. "We needed to stock our shelves for the new school year, but wasn't sure where the food was going to come from. Then here you are!" According to Rowan Today online news, "Last spring (2016), Rowan did a survey and of the students who responded, 51% said they'd either cut or skipped a meal because they couldn't afford it - some more than once." Until the survey, co-founder Singleton, was "unaware he was attending class with fellow students who had not eaten that day-or for days. Admittedly, he's never been hungry". Dream Center Executive Director, Natalie Fortunato, concurs that hunger crosses all demographic lines, even on college campuses. "It's hard to concentrate and focus on your academics when you are wondering where your next meal is going to come from, or if you will have enough funds for food each month". The food they delivered was graciously donated by Target in Mantua through the Food Bank of South Jersey Retail Rescue Program. "Our delivery to Rowan is what the Dream Center is all about", said Michelle DeSimone, a volunteer who serves on the SJDC Leadership Team. "We want to help take care of the students' basic necessities while they are working hard to take steps forward in life. It's our simple way to cheer them on!" Full details about The Shop. WEST DEPTFORD -- January 23, 2017 - The South Jersey Dream Center (SJDC), a local non-profit to low income and struggling families in Gloucester County, receives a $1,000 "Live United" Mini Grant from the United Way of Gloucester County to purchase a commercial refrigerator. As a "Hope Mobile" of the Food Bank of South Jersey, the SJDC serves 150-200 families a month. In 2016, they were able to acquire and distribute more than 230,000 pounds of food, clothing, personal hygiene and household items, and pet food. "We are thankful for our many Food Partners that provide the food that we distribute, and most of all for the quality and variety. Perishable items are hard to come by and considered somewhat of a luxury to our guests, who oftentimes must choose more affordable items over healthier items like produce, dairy and meat. This is an ongoing issue for food-insecure people, who are constantly burdened with choosing quantity versus quality foods", said SJDC Executive Director Natalie Fortunato. The South Jersey Dream Center received a $1,000 mini grant from the United Way of Gloucester County to purchase a commercial refrigerator. Prior to purchasing the commercial refrigerator, the amount of perishable items they could receive and store was limited to the space in one residential refrigerator. As a result, they had to turn away available food, or make multiple pickups the day before, or on their distribution day, in order to preserve the food's freshness. With the new double door, reach in, commercial refrigerator, they have tripled their produce and dairy intake. "We're pleased to be able to serve more guests the type food that helps them stay healthy, and provide more viable snacks and lunch items for children. With over 23,000 people in Gloucester County below poverty level, our work has just begun. Thanks to United Way of Gloucester County, they have jumpstarted the process," said Michelle DeSimone, the SJDC Community Relations. WEST DEPTFORD, NJ - January 17, 2017 - The South Jersey Dream Center isn't just a food pantry. Providing food and clothing to South Jersey residents in need is just a part of what the center has provided over the last several years. Founders Joe and Natalie Fortunato say the Dream Center also offers hope. The center has conducted monthly food and clothing distribution events from donated space at the National Park Fire Department for the last two years, but the program has outgrown the space. It's last event there was held in December. The Fortunatos are now hoping to find a new place where they can put all of the center's services under one roof and expand to help more people. They envision a center that offers clients job training, computer skills and the tools to turn their lives around. About 10 to 15 people showed up for their first distribution in 2010. These days, they serve 160 to 225 families at their monthly events. 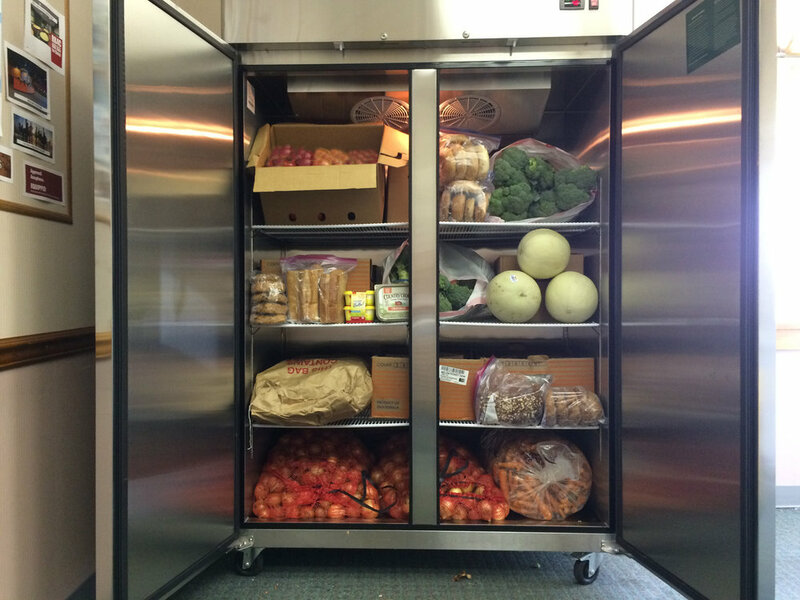 The Dream Center's offices and storage space -- including refrigerators and freezers -- are located in space provided by A.C. Schultes in West Deptford. In Gloucester County, 23,000 residents are living in poverty, Natalie said, and that's why the Dream Center needs to grow. "What we are doing for a person is meant to be temporary," said Joe, who is pastor of Faith Fellowship Ministries in Thorofare. He sees many clients who have lost their jobs and are having a hard time finding new ones. "They're not freeloaders." In many cases, those seeking help live in households with two working adults, but making ends meet remains a challenge at some times. The center serves Gloucester and Camden county residents, but the bulk of their clients are from National Park, Deptford, West Deptford and Woodbury. "We want to stay in this area, because the majority of people that we help come from this area," Joe said. "People are having a rough time, especially here." They have looked at nearby vacant spaces, including supermarkets and strip malls, but owners are looking to sell, not lease, those places. Ideally, they would like to lease with an option to purchase a new home. They need a ground-level, one-story space with no steps -- to accommodate those with disabilities and to allow use of shopping carts -- and at least 20,000 square feet of space for distributions, storage, offices and classrooms. Setting up for the monthly distributions begins the day before and continues into the next morning. When volunteers arrive, they'll find 50 people already lined up hours before doors open. "If we had our own facility, we wouldn't have to do it all in one day," Natalie explained. Many of the volunteers who help set up for the distribution also receive help through the program. "It's amazing to see our volunteers come in that are clients," she said. "I would hire them in a heartbeat. They are hard-working." Guests register when they arrive and use provided carts to "shop" through the store of donated goods. They leave with a few weeks worth of groceries. For the Fortunatos, creating a welcoming, accepting atmosphere is vital when they open their doors on distribution days. "That's the happiest day of my whole month when I see the people," Joe said. "They love us because we love them." The support for the center's mission is substantial. Last year, the Dream Center distributed more than 200,000 pounds of food, clothing and pet supplies. They receive support from the Food Bank of South Jersey, Philabundance and the United Way, as well as from private businesses, including Walmart, BJ's and Panera Bread. Columbia Bank provided a $25,000 grant last year to fund the purchase of a cargo van the Dream Center uses to pick up donations. A big part of what the Fortunato's try to offer attendees doesn't come in a shopping bag and can't be delivered by the truckload. During distribution day, the Dream Center offers guest speakers talking on a variety of topics, including health, managing finances and overcoming addiction. "We try to find things that affect everyday people," Natalie said. They also provide connections to local services that can assist someone struggling with some of these issues, such as drug or alcohol addiction. Giving out food is important, she said, but it's not the end of the story. "We are offering them options. A lot of people in today's society don't think they have options." Joe stressed that attendees don't have to sit through presentations in order to get help. "We give invitations. We don't have demands," he said. "People are not forced to sit there for any presentation to receive food." In addition to speakers delivering information to attendees, Joe includes a faith-based message. The message isn't generic, Natalie said. "It's a Bible-based, hope-filled message." This, Natalie said, is what makes the Dream Center different. "We're not just about food," she said. "The faith part of it is the biggest element. We're not ones that just want to be part of the system, giving out food and sending people on their way. We are offering them options and opportunities." Providing information, resources, hope and encouragement are vital components of their mission, Joe said. "We want to supply hope for a brighter future," he said. "Our mission is to develop the potential that's inside every human being." To learn more about the Dream Center, visit their website at southjerseydreamcenter.org, call 856-845-4500 or email contact@southjerseydreamcenter.org. PENNSAUKEN, NJ - December 22, 2016 - The South Jersey Dream Center made the evening news 6abc Action News this past week! Natalie shares the honors with 13 other agencies who received refrigerators/freezers donated by Walmart, through the Retail Rescue Program at the Food Bank of South Jersey. View video here. JOY IN OUR TOWN - Philadelphia - TBN Broadcast - December 19, 2016 - Pastor Joe Fortunato, Founder of the South Jersey Dream Center, speaks with show host Kelly Waldeyer about having a vision and what it takes to bring that vision to fruition in a practical sense. . Every great endeavor begins with the imagination and a person having a dream, long before the work to make it happen begins. Pastor Joe Fortunato is joined by Michelle DeSimone as they talk about making the vision come to pass. JOY IN OUR TOWN - Philadelphia - TBN Broadcast - December 5, 2016 - Michelle DeSimone, Community Relations for the South Jersey Dream Center, speaks with show host Kelly Waldeyer about being built to serve. Michelle states she has always had a desire to serve others. Kelly Waldeyer continues conversation with Michelle DeSimone and welcomes Pastor Joe Fortunato, who is the founder of the South Jersey Dream Center, as they talk about cultivating the volunteer. DEPTFORD TWP. -- December 5, 2016. When the curtain rises on the Sketch Club's production of "Beauty and the Beast," a "tale as old as time," at the Rowan College at Gloucester County Fine Arts Center in Deptford Township this Dec. 9-17, art will be imitating life as a mother-son duo take the stage as Mrs. Potts and her little boy, Chip. Nancy and Jack Dickinson of Williamstown, play the enchanted objects in the Sketch Club Players' production of Disney's "Beauty and the Beast." Nancy, choir and music director at Bunker Hill Middle School in Washington Township and president of the South Jersey Choral Directors Association, sings the title song of the show. Ten-year-old Jack, a fifth grader at Williamstown Middle School, spends most of the show charming the audience as a cup atop a tea cart. The show is, in fact, a family affair with several mother-child, husband-wife, and sibling teams among the cast and crew members. Nancy explains that theater is a great activity for families to do together. "I think it's so beneficial for families to perform together; it brings -- and keeps -- them close and helps them create such special memories," she says, adding, "And when a mother and child share the stage, it keeps the arts alive because they are passing down a tradition down through the generations." Nancy says she has been performing for as long as she can remember. She got her son hooked on theater at a young age by putting him in musicals at the school in which she teaches, including casting him as a Munchkin in the "Wizard of Oz" and an ensemble member in "Seussical." "This is the first time I'm in on stage with my mom, and it's fun being in a show together," says Jack. He says his favorite part of the show is the end, "when I run out to my mom after I'm human again." The show runs Fridays, Dec. 9 and 16 at 8 p.m.; Saturdays, Dec. 10 and 17 at 2 p.m. and 8 p.m. For tickets, go to www.sketchclubplayers.org or call 856-848-8089. As a special treat for the young ones, there is "Story Time with Belle" before the Saturday matinees. The hostess of the castle will serve cookies and juice and read her favorite story to the children at 12:30 p.m. The cost is $5; RSVP when purchasing tickets. In conjunction with the show, the Sketch Club Players are holding a holiday food drive. During the run of the show, the theater group is partnering the South Jersey Dream Center to stock the shelves of its food pantry. When purchasing a ticket, pledge to bring a non-perishable food item (one per ticket purchase) to the theater, and receive a $5 discount on each ticket. Simply use the FillthePantry code when making the online purchase, or mention it when calling for tickets. NATIONAL PARK / WEST DEPTFORD, NJ - November, 2016 - The South Jersey Dream Center burst into the Thanksgiving season with the Fifth Annual Dodge Hunger Dodgeball Tournament at the RiverWinds Community Center in November. Players from New Jersey and Pennsylvania formed teams of six or more to help raise funds in support of the South Jersey Dream Center Monthly Food and Clothing Distribution on the third Tuesday of each month at the National Park Fire Hall. Among the pro teams were Body Snatchers I and II, Aftershock, and Nationally recognized, Las Vegas Ultimate Dodgeball Championship winners, Team Awesome. "Out of all the tournaments we play, this is my favorite", said Narces Clarkson of Team Awesome, "I love what it stands for." Junior (8th grade and younger) won by Team R.I.P. Pro Division (players of all ages who travel as a team to Amateur and Professional Tournaments) won by Team Awesome. Mandy Trieu, a biochemist formed a team of co-workers because "It sounded like a fun thing to do for a worthy cause, I'm glad we did it." Her teammates, hurting a bit from the fierce competition, agreed and said they would be back again next year. "Hosting the Dodge Hunger Dodgeball Tournament is a lot of work, but an absolute blast, said Hilari Luck, who oversees Team Recruitment. "It's an awesome opportunity to raise funds and awareness about hunger in our local community. Hunger doesn't look like it used to, some of our guests who come to us for food have two working adults in the house but still can't make ends meet." "We are so thankful for our sponsors and partners who help make this event such a great success. Our complimentary lunch was provided by Wawa, Ciconte's Pizzeria, Pat's Select Pizza|Grill, and Domino's. Local businesses, many from the Greater Woodbury Chamber of Commerce, were so quick to be a team T-shirt sponsor, I was amazed at the overwhelming generosity", said Natalie Fortunato, executive director of the South Jersey Dream Center. "The much needed funds that were raised make it possible to open our doors each month, and serve hundreds of families in need of food assistance, lightly used clothing and linens, and most of all hope." Many of which families joined the South Jersey Dream Center for its annual Thanksgiving outreach on Nov. 15. More than 200 families received a turkey for their table or whole chicken, as well as an overflowing grocery cart with bread, dairy, meat, fresh produce, and various non-perishable foods and personal hygiene item. All provided by New Jersey Farmers Against Hunger, Albert's Organics, the Food Bank of South Jersey, Target, ShopRite, BJ's and Philabundance. "I am currently disabled and have very little food" said a first time guest, and if it weren't for the South Jersey Dream Center "I wouldn't be able to eat everyday." Special thanks was given to Patient First of Woodbury, who was honored as the November Sponsor of the Month, underwriting the cost of operations for the month. Tom Murtaugh, R.N., director of medical support at the Woodbury Patient First was on hand to receive the award. What makes the South Jersey Dream Center different from many other food and clothing programs is their voluntary workshop provided by local professionals. Each month, before the food is distributed, a presentation is given on a relevant and applicable topic that helps the guests take steps forward in life, followed by an encouraging message of faith and hope through Jesus Christ. This month's topic, "Parenting Isn't for Cowards" was presented by family specialist, Ella Joseph. The South Jersey Dream Center is a volunteer-based organization that solely depends on the hard work and dedication of people who simply want to give back to their community. Over 75 people served on Monday and Tuesday, clocking in over 14 hours loading and unloading trucks, setting up the hall, organizing food, registering guests, assisting guests with their food, breaking down boxes, and clean up. To support families struggling with hunger this holiday season and beyond, the South Jersey Dream Center has set a goal to raise $5,000 by Christmas Day. For those in south Jersey and the surrounding area that would like to share their holiday joy with others in a simple way, go to SouthJerseyDreamCenter.org or call 856-845-4500 and make a donation of any size. "We like to connect people who have a little extra with people who could use a little help" -- Rev. Joseph Fortunato, South Jersey Dream Center Founder. Pictured, from left: Wells Fargo's Southern New Jersey Regional President Brenda Ross-Dulan, Gloucester County District Manager Moses Santizo, Executive Director of the South Jersey Dream Center Natalie Fortunato, Brokerage Associate, Glassboro Store, Kirstin Powell, and Area President James Newson. The South Jersey Dream Center was awarded a $1,000 grant by Wells Fargo to support the organization's mission of providing food, clothing, and supportive services. DEPTFORD, NJ - August 31, 2016 - The South Jersey Dream Center was awarded a $1,000 grant by Wells Fargo to support the organization's mission of providing food, clothing, supportive services and most of all hope. The South Jersey Dream Center believes "hope opens doors for true and lasting change through a genuine relationship with Jesus Christ and that there is brighter future waiting for the wonderful people they serve in South Jersey. But what makes the Dream Center different from many food programs is that they like to help their guests take steps forward by offering a voluntary workshop just before they distribute food each month. Local professionals share their area of expertise with the guests, free of cost, on relevant topics such a job readiness, finances, overcoming addictions, parenting, health, fitness and nutrition, and renter's rights, just to name a few. "At a time when donations from the public and private sectors are down due to the economy, we truly appreciate the support Wells Fargo has provided," said Natalie Fortunato, executive director of the South Jersey Dream Center. "We will use this grant to create awareness of our mission, and expand our reach. Our goal is to serve as a conduit that connects businesses and individuals in South Jersey that have additional resources, with those in need of resources." The grant was awarded as part of Wells Fargo's Community Connections program, which provides local branch managers the opportunity to make a $1,000 charitable contribution on behalf of Wells Fargo to a nonprofit of their choice. Wells Fargo's 42 branches in the Southern New Jersey — South Jersey region distributed a total of $41,000 in grants to support nonprofit groups — $1,000 for a nonprofit identified by each store manager. "Our local branches see which nonprofits are out in the community making a difference every day," said James Newson, Wells Fargo's South Jersey area president. "We use this as an opportunity to celebrate and say thank you to the South Jersey Dream Center for all of the value they have provided to our community over the past year. The Community Connections program offers Wells Fargo store managers the opportunity to provide additional grants to local nonprofits of their choice in New Jersey, Connecticut, Delaware, New York, and Pennsylvania. A total of $140,000 in Community Connections grants was slated to be distributed throughout the months of July and August in Southern New Jersey. "Many of our Wells Fargo team members also serve or are impacted by the South Jersey Dream Center in some way," said Rhan Roach, branch manager in Woodbury. "We're proud to help the nonprofits server our communities wherever we can." To find out more about the South Jersey Dream Center visit, www.southjerseydreamcenter.org/. NATIONAL PARK - August 11, 2016 - South Jersey Dream Center will hold its monthly food and clothing distribution on Tuesday, Aug. 16 in the National Park Fire Hall, 523 Hessian Ave. in National Park. South Jersey Dream Center is an outreach of Faith Fellowship Ministries of Southern New Jersey. Visit www.faithfellowshipministries.net,www.southjerseydreamcenter.org or 856-845-4500. June-July, 2016 - Pastor Joe shares the vision of the South Jersey Dream Center on TBN Philly, as well as several other video clips that feature various aspects of the services provided. FOOD BANK OF SOUTH JERSEY - June 2, 2016 - National Park Hope Mobile Site Feeds 125 Families Monthly. After four years of going it alone, Walter Spring was ready to ask for help. He borrowed his sister-in-law’s car, and on a bright Tuesday morning in April drove from his Bridgeport home to the fire hall in National Park. He stood in a line that spilled out from the hall onto Hessian Avenue, just a few minutes past nine, waiting his turn to register for food assistance at a pantry operated by South Jersey Dream Center – one of FBSJ’s Hope Mobile distribution sites. “I’ve been on disability since 2012, just piecing things together,” states Walter, 58, a lifelong mechanic. “Half of my money these days goes to rent; by month’s end, there’s just not much left.” Inside the hall, South Jersey Dream Center staff and volunteers are busy registering clients and prepping rows of tables with an appealing assortment of food selections: grains, meats, produce, breads, beverages, and baked goods. Founded in 2010, the South Jersey Dream Center is the vision of Pastor Joe Fortunato and his wife Natalie. The center provides pantry services and supplies clothing and household items, too. Before each monthly food distribution, clients have the option to attend a workshop on topics ranging from job readiness to healthcare. FBSJ’s Healthy Living Initiative team recently presented a workshop on smart shopping practices and nutrition awareness. “The goal is to meet basic needs while respecting the dignity of each individual,” explains Natalie, who directs daily operations. Toward that end, she says that food items are not pre-bagged and simply handed to clients who come to the Dream Center. Westville resident Lisa Smith, 51, has been receiving help at the Dream Center for about one year. After working 20 years in medical billing, she had to leave her position for health reasons. She lives on disability payments and $70 in food stamp benefits monthly. “This place means so much to all of us,” states Lisa. At the April pantry distribution, 125 residents came out to the Dream Center; many said they were working a part-time job or earning low wages. They wouldn’t know what they would do without the pantry help. NATIONAL PARK — May 11, 2016 - The South Jersey Dream Center goes from minivan to cargo van, thanks to a $25,000 grant from Columbia Bank of Fair Lawn. Columbia's Regional Vice President Mark Schott and West Deptford Branch Manager Robert Cleveland were on hand as the Dream Center Founder Rev. Joseph Fortunato presented their new Ram Promaster cargo van at their monthly food distribution to low income and struggling families in South Jersey. "It was a pivotal moment this past October when the South Jersey Farmers Against Hunger provided thousands of pounds of fresh fall fruit and vegetables, and we drove away with one-third of what we could have taken if we had the proper vehicle", said Executive Director Natalie Fortunato. "Each bag that we left behind had a family's 'name' on it, that would now go without." On the third Tuesday of every month, the South Jersey Dream Center distributes fresh produce, bread, desserts, frozen meat, canned, boxed and personal hygiene items, as well as lightly used and new clothing to families in need. At 7 a.m., dozens of volunteers arrive at the National Park Fire Hall to unload pallets of donated food from the Food Bank of South Jersey, as well food from other local businesses including BJ's, ShopRite, Philabundance, Panera Bread, Albert's Organics, and Flowers Bread Company. In one afternoon, an average of 150 guests "shop" through a makeshift grocery store and select food they want for their families. "I've been on disability since 2012, just piecing things together," states Walter, 58, a lifelong mechanic. "Half of my money these days goes to rent, by month's end, there's just not much left." What sets the South Jersey Dream Center apart from other food programs is their voluntary 45-minute workshop offered on the day of distribution. Local professionals donate their time and expertise by presenting easily applicable information on relevant topics such as job readiness, health and fitness, overcoming addictions, renter's rights, eating right when money is tight, and finances. One other distinguishing factor is the 15-minute message of hope shared by Pastor Fortunato who said, "The South Jersey Dream Center is a place where hope opens doors." Month after month, hundreds of people from all over South Jersey come for food and clothes, but our greatest desire is for them to leave with hope for a brighter future because of God's unconditional love, acceptance and approval." Deptford -April 5, 2016 - nj.com - The Deptford Skating Center and the South Jersey Dream Center are partnering together to gather food items for local families in need. Bring a canned or boxed, non-perishable food item to the Deptford Skating Center at 510 Deptford Ave. in Deptford Township, any Thursday in April from 5:30 to 8 p.m. and the admission is free. Skate rental is only $4.50 plus tax. All food items donated benefit local families. What a perfect way to earn community service hours for your club or organization. For full details, call 856-845-4500, or go to southjerseydreamcenter.org. 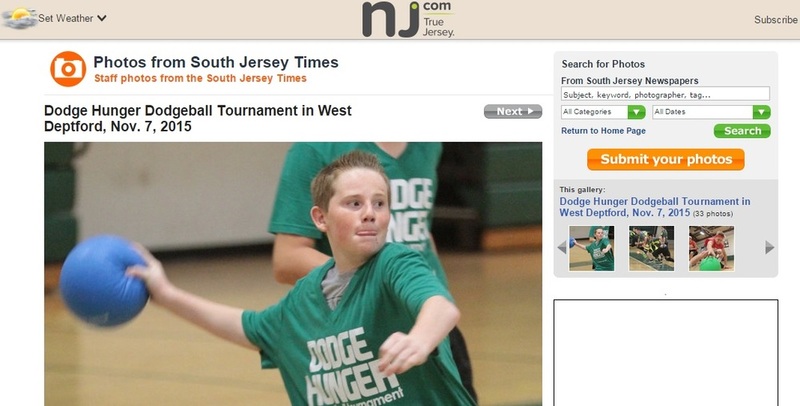 WEST DEPTFORD - November 7, 2015 - nj.com - Another outstanding year for the Dodge Hunger Dodgeball Tournament - view complete photo gallery here. NATIONAL PARK - August 19, 2015 (Front page) Filled with fresh vegetables, bread and bagels and juice, as well as clothing, the borough's fire department has become a go-to location for area residents in need each month in a program that wouldn't be possible without the fire company's generosity, according to its organizers. Rev. 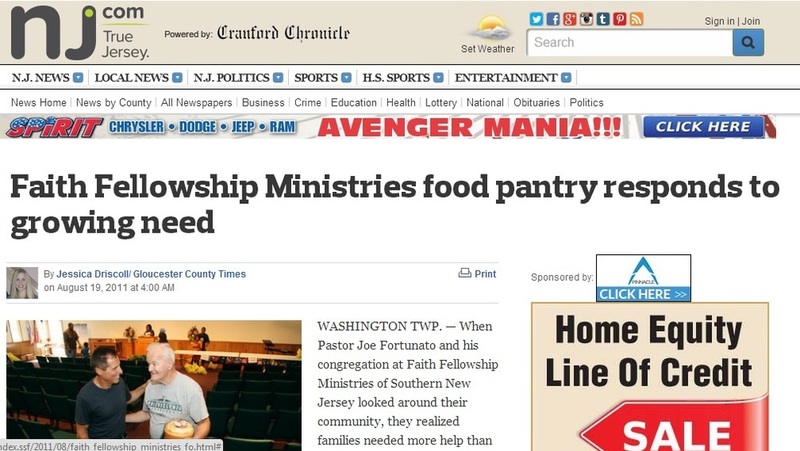 Joe Fortunato of Faith Fellowship Ministries of Southern New Jersey, and his wife Natalie, run the South Jersey Dream Center Food Pantry, which outgrew its home in Runnemede last year. When they moved their church to Thorofare, they were stuck without a space big enough to handle the amount of food they give out each month, the Reverend said. After hearing about a need in nearby National Park for a food pantry, however, they approached the borough's fire company about using their hall each month, which is when the firefighters agreed and added a bonus — that they could use it free of charge. "It means a lot to the people of National Park, West Deptford, Woodbury," Joe Fortunato said. "I don't know if we would have had the space to do this." Since January, the organization's database has grown to include more than 400 individuals, with an average of 100 families seeking assistance each month. At the food pantry they can "shop" for fresh food donated by partners including Shoprite, Panera Bread, BJs and the Food Bank of South Jersey, as well as attend 45-minute voluntary seminars that range from "Ready, set, get hired" and "Overcoming Addiction" to "renter's rights" and "Eat right while money is tight." "We try to pick topics that relate to people's lives," Natalie Fortuanto said, adding that each seminar is run by local professionals who volunteer their time. Visitors can also pick up clothing donations from Plato's Closet. This month the organization held a friends and family day Tuesday where they gave out door prizes and snacks and visitors could receive a free haircut from A Cut Above Salon's hair stylists who volunteered their time. Elizabeth Jones, of Woodbury, said the food pantry nearby has helped her immensely. While her husband is suffering from stage four bone cancer their family was eating only peanut butter and jelly sandwiches before she heard about the location in National Park. "It's amazing. He gets nutrition from here now," she said. "I've made friends, I've gotten closer to God." The purpose of the Dream Center is to help those who are in temporary need, said Joe Fortunato, who was inspired to do this after he had to accept assistance himself after his first wife passed away. "I see myself in every human being I see here today," he said. "No one is judged here," added Natalie Fortunato. RUNNEMEDE - November 29, 2014 - The Food Bank of South Jersey is expanding its outreach to veterans with the Hope Mobile Pantry in the beginning of 2015. Starting in January, the Army National Guard Armory in Cherry Hill will be the newest distribution location for the Hope Mobile. The pantry is an 18-wheel tractor trailer that carries food to different areas across the region. "We've been working on this for two years now," said Sabine Mehnert, Community Engagement Coordinator for the Food Bank of South Jersey. "I'm really excited that we're going to be starting the distribution center." The center will be similar to other centers in South Jersey that will give veterans a mix of dry, refrigerated and frozen food once a month for free. "It will be similar to other locations," Mehnert said. "We will be partnering with Home Depot, who will be volunteering at the events." One location in Runnemede is at a VFW that feeds more than 200 people once a month, including one veteran who served in Operation Desert Freedom. "They're really helped me out," said Kevin Kinyon, a Navy veteran who has been unemployed for a year. "Having this place has been a godsend. It's so beneficial to have this here. It's so close to home." Mehnert believes opening the Cherry Hill location is important to help veterans like Kinyon who may not receive or ask for help otherwise. "I think there's a lot of pride involved with military people," Mehnert said. "They don't want to show they're in need." Sam Polfki, the VFW commander in Runnemede, sometimes brings donations to veterans in the area, and works with the Vineland Veterans Home. "There's a lot of people doing things for veterans, but there's never enough," Polfki said. Unlike some of the other distribution centers that focus on their area's residents, veterans from any county will be able to visit the Cherry Hill location. The Food Bank of South Jersey anticipates it will serve more than 100 veterans and their families. "It's starting in Camden County but we hope it spreads out and make it more convenient for veterans throughout South Jersey," Mehnert said. "And hopefully other food banks will follow." Mehnert said they will assist any veteran that walks through the door because they will be the focus. "It's very important to give back to those who have served our country," Mehnert said. For a list and dates of the distribution centers, visit the Food Bank of South Jersey's website. WEST DEPTFORD — November 1, 2014 - Thirty teams of six to eight players battled in the Third Annual Dodge Hunger Dodgeball Tournament at RiverWinds Community Center in West Deptford Saturday. The tournament, held to raise awareness and funds in the fight against hunger in South Jersey, was organized by the South Jersey Dream Center (SJDC) in Mullica Hill. The all-ages event was held to provide clothing, food, opportunities, and supportive services to South Jersey homes in need. According to SJDC founder Rev. Joseph Fortunato, the number of households in New Jersey experiencing food hardship has nearly doubled in the past several years. The SJDC Food Pantry distributes thousands of pounds of food on the third Tuesday of each month. The fundraiser called on local businesses and families to help raise $14,000 during this year's tournament to help put food on the table for families in South Jersey. The SJDC Food Pantry offers free 45-minute workshops designed to help clients take steps toward a more self-sufficient life. For more information on the South Jersey Dream Center Food Pantry, visitsouthjerseydreamcenter.org. November 2, 2013 - 2nd Annual Dodge Hunger Dodgeball Tournament at RiverWinds Community Center in West Deptford, Saturday, Nov. 2, 2013. All funds raised benefit the Joseph's Storehouse Food Pantry of Faith Fellowship Ministries of Southern New Jersey. WASHINGTON TWP. — October 17, 2012 - Surrounded by stacks of canned goods, cereals, breads, cakes and frozen meats, it might seem that Joe Fortunato and his congregation at Faith Fellowship Ministries is in good standing to supply food to the Joseph’s Storehouse Food Pantry. But the third Tuesday of each month, that food is carried out of the five large freezers and shelves of the pantry, to be handed out to people in need of a hand up — and a little extra food to feed their families. An this past Tuesday was no different. People began walking into the church about an hour before the pantry opens. Carrying bags, pushing carts or strollers, the pantry’s visitors sat in the church’s main room waiting to receive their portion of the food. Approximately 7,000 pounds of food is given out each month to 100 to 150 recipients, leaving the pantry bare and in need of as many donations it can get. “Hunger doesn’t look like it did when we were kids,” Hilari Luck, the church’s youth pastor, said. That is why the church, led by it’s youth group, have decided to hold a massive fundraiser in the form of something the kids can enjoy while doing a good deed —a Dodgeball Tournament. The “Dodge Hunger” Tournament will take place at Riverwinds Community Center in West Deptford on November 3. And anyone interested is encouraged to join. Teams of six are welcome to register, free of charge, and anyone is welcome to come as spectators. But the church is asking everyone to bring non-perishable food items to donate to the storehouse. “The kids are so fired up and excited,” Luck said. Fortunato is hoping this event will be enough to provide food to Joseph’s Storehouse’s visitors throughout the holidays — a time that more and more people are struggling to make ends meet. WASHINGTON TWP. 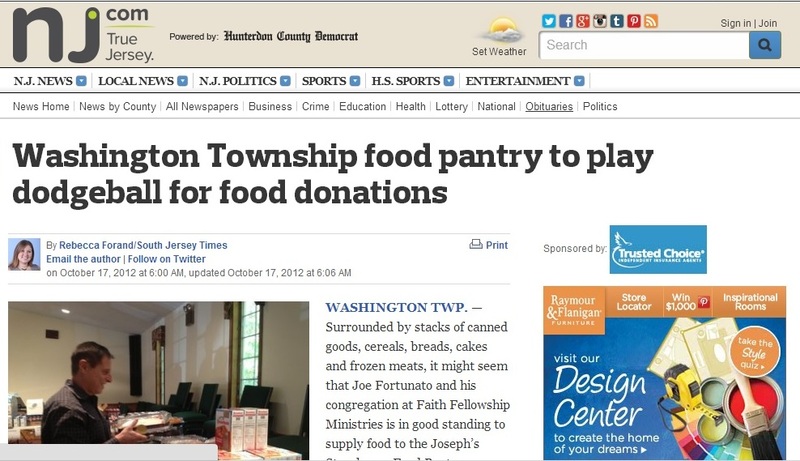 — August 18, 2011 - When Pastor Joe Fortunato and his congregation at Faith Fellowship Ministries of Southern New Jersey looked around their community, they realized families needed more help than ever in putting food on the table. Joseph’s Storehouse provides food to people in need on the third Tuesday of each month from 3 to 6 p.m. and the fourth Sunday of each month from 12:30 to 1:30 p.m. Food is distributed on a first come, first served basis while supplies last. By 3:30 on Tuesday this week, almost 100 people had already visited the pantry and supplies were running low. The food at Joseph’s Storehouse is provided by the Food Bank of South Jersey as well as the Clements Bridge Road Walmart and BJ’s Wholesale Club in Deptford and ShopRite of Mullica Hill. There are also some donations from the Cathedral Kitchen in Camden and from members of the congregation who drop off canned goods before and after services. Fortunato’s wife Natalie said donations large and small are accepted and very much needed. “We’ve increased the number of people we serve, so we need that increased amount of food,” she said. Fortunato said he has a vision that the church will someday have a building that provides not only food, but also clothing and children’s supplies, for free for those who need them. In addition to the scheduled food distribution, Faith Fellowship Ministries will host “Back to School Sunday” this Sunday where they will provide free backpacks, school supplies and haircuts to kids who need them. Families must register in advance for the event and each child registered must be present to receive his or her backpack. Those interested should call 856-881-0111 or email nfortunato@ffmsnj.org. For more information about Joseph’s Storehouse or Faith Fellowship Ministries of Southern New Jersey, visit www.ffmsnj.org. Donations can be dropped off at the church, located at 13 Lakeside Lane, just off Spring Lake Ave.
Those in need of food can visit Joseph’s Storehouse on the assigned days. New guests must provide their name, address and two forms of ID with proof of residency in Gloucester County.